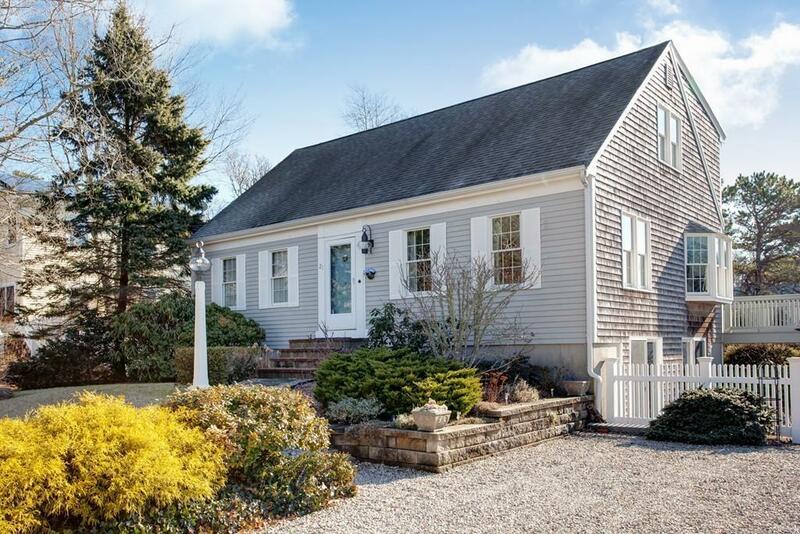 Immaculate Cape style home that is an ideal retreat for relaxing & enjoying the Cape Cod lifestyle. Breathe in the salty air, feel the sea breezes, and enjoy the water views while you sit on the deck or the 2nd floor balcony. Stroll 2 streets over to swim in the pool, play tennis, or have lunch at the private Clubhouse. Seller has investment interest in the water front Clubhouse and with an annual membership the Buyer can enjoy the amenities. Spend the day at the association beach where you can sun, swim, paddle board and kayak along Childs River which has quick access to Washburns Island, Waquoit Bay and Nantucket Sound. This home is filled with natural light and has an open floor plan.There are 2 bedrooms and full bath on first floor. The 2nd floor offers a 3rd bedroom, full bath, and has a fabulous "Sunset Room" with a wet bar and exterior balcony. This room can also be used the 4th bedroom. There is a walk out basement, out door shower, & shed. Home can be sold furnished. 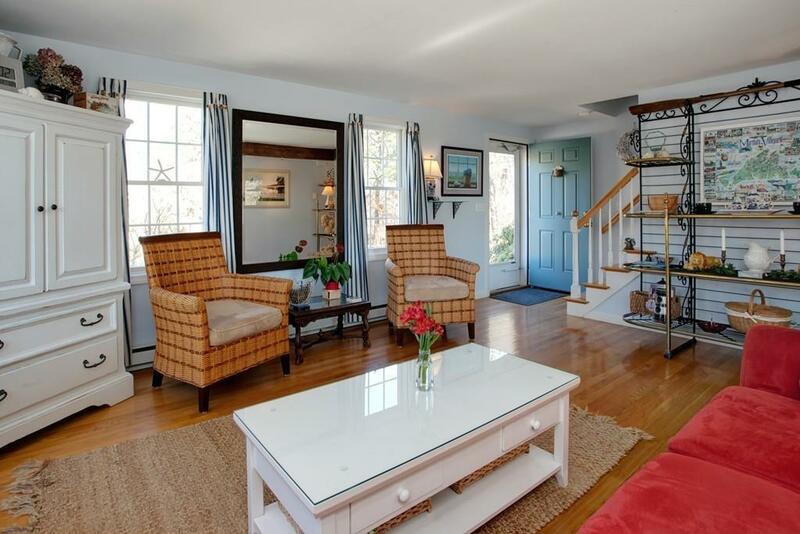 Listing courtesy of Pamela Mullin of Sotheby's International Realty. Disclosures In A Flood Zone. Owner Has A Policy That is Possibly Tansferrable. 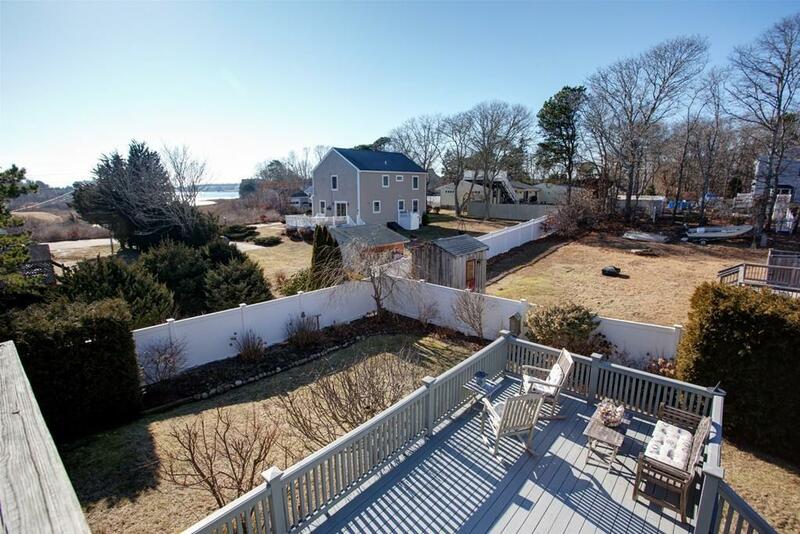 Listing provided courtesy of Pamela Mullin of Sotheby's International Realty.